David G. O’Day, MD, provides comprehensive ophthalmologic care at Charleston Cornea & Refractive Surgery, with a specialization in retinal surgery, cataract surgery, refractive surgery, corneal and intraocular lens transplants, and surgical treatment of eye diseases. His patients in Mount Pleasant, South Carolina, benefit from his extensive experience performing LASIK and PRK procedures and managing dry eye, glaucoma, and diabetic retinopathy. Dr. O’Day has a 98% complication-free success rate for LASIK — a success rate that’s almost unheard of in the field of LASIK. He frequently treats complex cases referred to him by other LASIK surgeons, creating a reputation for experience and excellence. He has also performed well over 80,000 refractive surgical procedures. A native of Atlanta, Dr. O’Day completed his undergraduate studies at Tulane University before attending Georgetown University, where he received a Master of Science in Physiology, then went on to graduate with his doctorate in medicine. While in medical school, Dr. O’Day was awarded a Naval Health Profession Scholarship and subsequently served active duty for four years as a physician in the United States Navy. After leaving military service, Dr. O’Day completed his ophthalmology residency at Emory University School of Medicine in Atlanta. He was awarded highly-competitive fellowships in cornea and external diseases at the University of Minnesota, and in refractive surgery at the Phillips Eye Institute in Minneapolis. After completing his fellowship training, he was certified as a Diplomat of the American Board of Ophthalmology. Dr. O’Day has been involved in laser vision correction and vision correction research for over 14 years. As a Clinical Assistant Professor of Ophthalmology at the Medical University of South Carolina, he has researched and lectured on a wide array of vision correction techniques and procedures. Dr. O’Day is also a frequent contributor to national and international medical journals on the subject of vision restoration and enhancement. 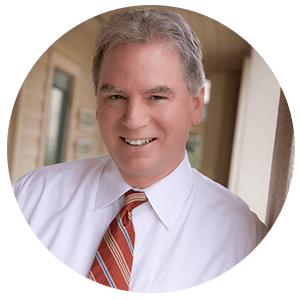 Dr. O’Day maintains professional involvement in many groups including the Eye Bank Association of America, the American Society of Cataract and Refractive Surgery, and the International Society of Refractive Surgery of the American Academy of Ophthalmology. He’s also active in the South Carolina Lions Eye Bank, the Charleston Ophthalmological Society, and the South Carolina Medical Association. "In 2006 I had LASIK surgery in both eyes by Dr. O'Day and had excellent result. I highly recommend the office and Dr. O'Day." "If you are looking for a great team of doctor's and staff for your personal eye care needs look no further. I recommend this practice to everyone." "Dr. O'Day is a caring and dedicated physician and has a pleasant, professional staff. 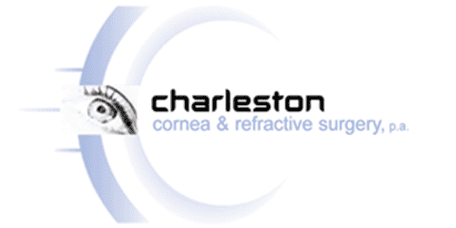 I highly recommend Charleston Cornea for all eye care needs." "11 years ago Dr. O'Day completed my LASIK eye surgery and I had an amazing experience! The office staff were all very helpful!" "Dr. O'Day and his staff did surgery my eyes 7 years ago. I would not trust my eyes to anyone else." "Dr. O'Day is an awesome doctor. He has been a God send to us...he saved my husband's eyesight." "I would definitely recommend this treatment to anyone with dry eye issues or anyone that wants to look younger without any major procedures." "Great staff, extremely good customer service, friendly, and knowledgeable. Dr. O'Day is the best eye doctor I have ever been to in my whole life." "Thanks to Dr. O'Day and his expertise, for the first time in my life, I no longer wear corrective lenses of any kind."